Rodney, aged 42, graduated from the Professional Welder program at Tulsa Welding School – Jacksonville campus in May 2012. Rodney went straight into the Navy out of high school. 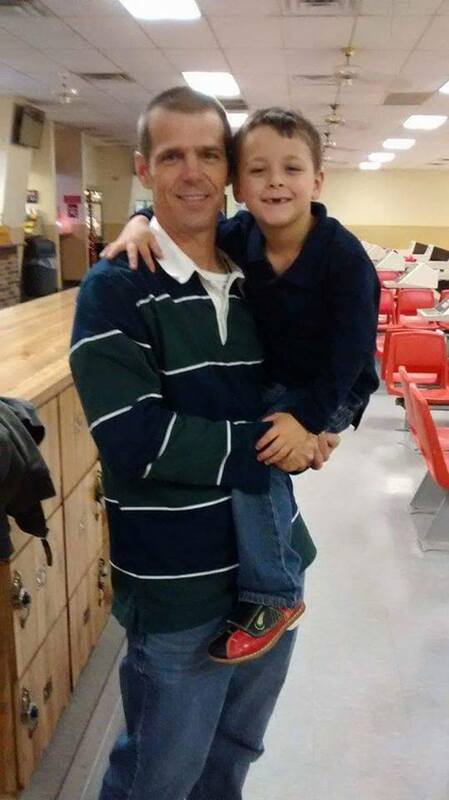 He served aboard the aircraft carrier USS Theodore Roosevelt from 1993 to 1997. Thanks for your time, and your service Rodney. Did you have any welding experience before Tulsa? Oh yeah, I’d been welding for about 10 years before I came to Tulsa Welding School. What was your motivation to go to welding school after 10 years in the field? I’d always wanted to go to school to learn TIG. That’s the main reason I went, and I wanted to get a qualification from a highly accredited school under my belt. Plus the VA [Department of Veterans Affairs] paid for me to go. Since I’m 20% disabled for my hearing, I qualified for a grant. Did you start welding in the Navy? No, I didn’t. I worked in the Fuels Division so it had nothing to do with welding. So how did you get into the field? Well, when I got out of the Navy, I had some drug problems, so I had to go to a halfway house. But to live there I needed a job. The only place near was a welding shop. I thought, “that looks cool; I could do that.” So, I just picked it up. It came pretty easy to me, and I went from there. It was the challenge. The TIG was the challenge. I had never done TIG before, but I still made “Top One”! 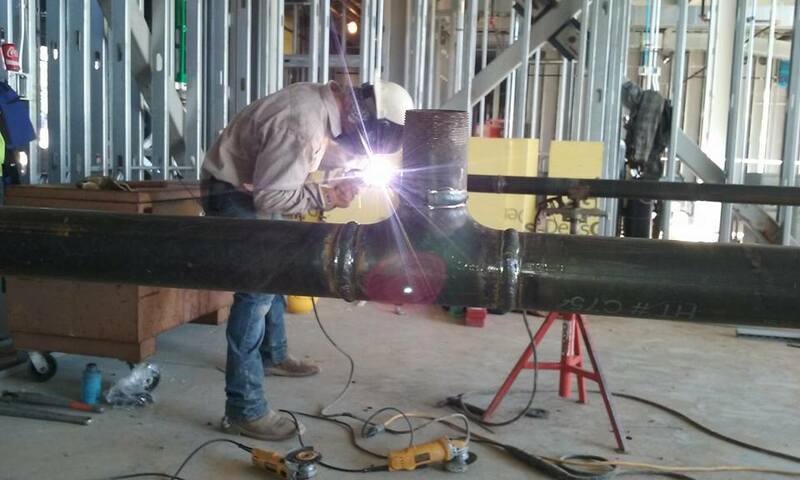 What welding processes had you used in the field? I’d only done MIG and Stick before Tulsa. Those parts of the program were pretty easy for me. I made “Top One” a bunch of times. So how many “Top Ones” did you get? I got eight out of nine. I missed a day, so that’s the only reason I didn’t get the other one! You graduated in May 2012. How long did it take to get a job? It took a couple of weeks. I went back to Tallahassee, where I was living at the time, and found a job in a fab [fabrication] shop. After that I worked on the road a lot doing shutdowns and stuff like that. I kind of enjoyed that. The pay checks were great, but I didn’t like the hours – 7 days a week, 12 hours a day. Right now I’m working at Air Conditioning Associates here in Dothan, Alabama. I’ve been with them about four months. I do some industrial piping. We put in chillers, stuff like that. So where do you hope to be in three years? I’m enjoying what I’m doing now, and I like the company I’m working for, so I’d like to be a foreman here. There are only two welders that work for the company, and I’m one of them. 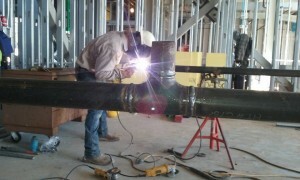 We’ve also got a pipefitter, and there are only four of us guys working on the pipe crew. There’s a lot of work coming up, so I can see some growth here. But one day, a little further down the line, I’d like to come back to Tulsa Welding School as an instructor. Have you done much traveling with this company? Not yet, only about 30 miles. But this company is also in Georgia and Louisiana, so that could happen. What would be your dream welding job? I would like to go work the pipelines – everybody’s got pipeline dreams. But sometimes it seems far-fetched to even think about some of these posts though. Alaska seems so far away, and you’ve really got to know somebody to get in. But I heard there’s going to be a pipeline coming to south Georgia here soon, if it’s approved, so maybe I can get on that. Having gone to TWS as an experienced welder, did you get what you wanted out of the school? Yes, I definitely felt like a better welder coming out than I did when I went in. I mean I put in extra time; I came in to practice on Saturdays, on my days off. I was constantly challenging myself, pushing myself. I wanted “Top One” in every class I took, and I got it. In February 2014, the Jacksonville campus held a 6G pipe welding competition for past graduates; it was the first competition they’d ever done. I entered, beat about 40 guys, and won a welding machine! I like the money. I like the fact that I’m building America, and I like the fact that time goes by pretty fast when you’re under the hood. Did you make some good connections, some friends, at school? Has that helped with job search? Yes, I’m still in touch with a few of them. I’ve given them leads. They’ve given me leads. We’ve helped each other find work. I’d say don’t listen to the guys who go out there and give Tulsa Welding School a bad name. Don’t listen to anyone else…because what you put into it, is what you’ll get out of it. It’s a good school, but you’ve got to challenge yourself to get better, to be the best. If you just coast through the program, doing the minimum, just trying to do enough to pass the tests, then it’s not going to work for you because you’re not going to be good enough to get hired when you get out. Those are the people who give the school a bad name. Then they go on the Internet, the digital welding pages and stuff, gunning for Tulsa. Every time I come across that, I always stand up for Tulsa and say it’s not the school, it’s the individual. I’ve seen people who have never welded before. There’s a couple of guys in my class actually, and they came out of Tulsa and were just as good as I was. There are some people who can’t ride a bike and chew gum who decide they want to be welders, but when they can’t pick it up, don’t blame the school. Oh man, I used to skateboard. I fish, I four-wheel, I go to the beach. I probably wouldn’t be able to spend it, because I’d have fainted and hit my head, or had a heart attack! But what would I do with a million dollars? I’d open a welding business, and I’d put a little aside to buy my mom a big house.